Packaged professionally with a great label and a great (whiskey flask-like) shape, this one would pop out from just about any selection of BBQ sauces on the shelf. The logo itself reminds me of the Olympic torch – and what better a symbol to choose to represent global awesome-ness or shall I say SauceSomeNess. The sauce itself offered a few nice surprises in the taste department, named the strength of the chili powder (made from chili peppers, salt, spices, and garlic). It is also sweetened from a combination of sugar and molasses giving it a dark rich sweetness. Th aftertaste has a lot going on too – with onion and garlic and tamarind – giving a little bite to the end flavor. I tried this product on BBQ chicken, mac and cheese, and pan-fried kielbasa and really enjoyed the flavor on each one. 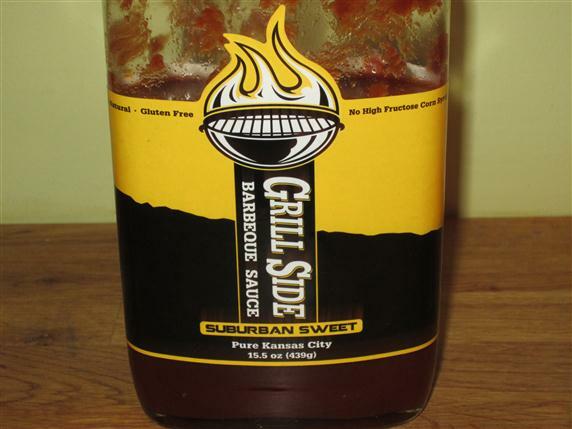 Grillside also gets kudos for having a sauce that makes my HFCS-free and Gluten-free lists… and the reason I call this out is not because I’m a health fanatic, it’s because people with certain diets and certain restrictions can’t eat these. It’s no surprise that these are two of the most popular pages on the site. 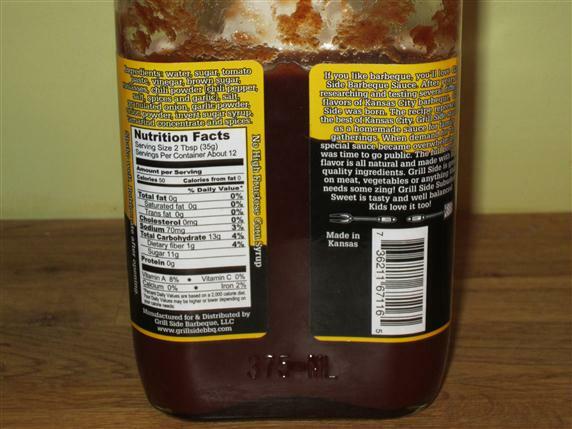 In the end, I thought the expectation of the sauce surprised me a bit because of the statement on the label “Pure Kansas City” – which to me is a straight-up thick and sweet sauce. Giving an indication of the chili flavor might be a good move here, especially if you want people coming back for more. The flavor profile is similar to Head’s Red which I gave 5 stars back in August 2008, but Head’s Red gives a strong hint that the flavor is going to be a little different, right in the name itself. You can check out Grillside on their website and on Facebook.